Direct retrofit for all PRS Guitars® – pre-2017 Core (Gen III), CE, S2 & SE guitars. 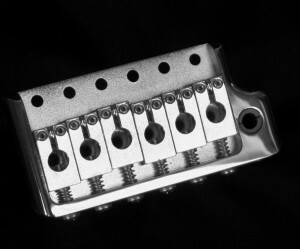 Updated version of the original “PRS/MANN PAF” vibrato bridge found on many pre-production PRS Guitars® . Six hole mount. 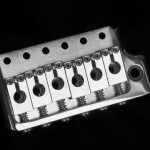 String spacing 2-1/16″ (52.4 mm) E-E. Two piece all Brass bridge for authentic PRS® sound, with increased tone and sustain! Polished side walls give a smooth, comfortable yet vintage look and feel. Walls also prevent any side movement of saddles, improving tuning and playability. Push-In Arm stays where you put it everytime. 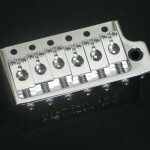 Bridge and Mounting Screws have hidden knife edge so that guitar returns to “Zero Position” and plays in tune. Has that smooth, silky feel that has made this bridge legendary. 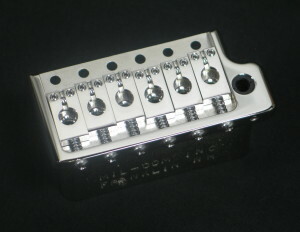 Individual saddles with individual height and intonation. Assembly comes complete with arm, claw and all necessary mounting hardware. Direct retrofit for all PRS Guitars® – pre-2017 Core (Gen III), CE, S2 & SE guitars, with no modifications.